Start to commit, learn and grow, today! I recently went to see Ant Middleton on his UK tour, Mind Over Muscle, and was really impressed, and if I admit it, surprised, by not only what I saw, but also what I took away with me. For those who aren’t familiar with Ant, he was born in Portsmouth, raised in France and joined the Royal Engineers at 16. At 19 he carried out a tour of duty in Northern Ireland, followed by another in Macedonia, 2002 saw him joined the Royal Marines and four years later he entered the Special Boat Service (SBS). Taking those experiences, Ant went on to be the chief instructor for Channel 4’s popular TVshow ‘SAS : Who Dares Wins’ – a reality show that is a world away from snogging and selfies and instead comes with grit, grime and a side of swearing. He’s been in other shows including Escape and Extreme Everest and is an author – is there anything he can’t do? He comes with a gorgeous wife, two super cute kids, a splattering of celebrity buddies, he donates to charity, and he has a humility that is as real as it is compelling that comes through in his story. And it was his story that I was so interested in, because that is what I do for my clients – I find their story and tell it for them to the media. I wanted to understand how he got from the firing line in war zones, to a stage in the darkets depths of south west England? How does he set his mind free from the atrocities of war? Where do you draw the line on testing yourself and putting yourself in the firing line? How can you see the positives in every situation, however bleak and terrifying? During the two hours that Ant was on stage, he told his story, and we all listened. The guys that looked like they had been in the military themselves. The women who had dressed up for their night out and looked gorgeous. The lady in front of us who was clutching a flyer Ant had singed = what was her story as the message said to keep positive. Even the kids in the audience, for whom the bad language Ant is known for, had been tamed. The room was quiet and the speaker was clear, honest and authentic. As he talked about his experiences, the TV shows, the people he had meet, the teams he had lead and adventures he had been on, it was apparent that he really shouldn’t be here today and would seem to have nine lives just like a cat. What was refreshing was that rather than playing the victim and feeling hard done by, he took each and every challenge in his step and learned from it.Even in the most terrible situations, his ability to look for a positive, where others would only see negatives, was a reminder to always look for the silver linings. His mantra was commit, grow and learn and I love this. He made it clear that failure wasn’t a dirty word, and how very true that is.Yes, he has had many, many successes both in the forces and now as a ‘celebrity’ and ambassador, but he admitted he had made mistakes, he had failed but rather than letting those situations or people define him, he used them to make him stronger and more equipped to deal with the world. This was no Ted talk, but his words made sense, his script was very real and his impact was clearly felt around the auditorium. We all feel fear but for many of us, the emotion is layered and prevents us from moving forwards with our lives and careers. He instead sees fear as our body’s way of preparing us for the unknown and for going over the cliff edge and seeing just how much we can push ourselves to be the very best we can. As he said, we all have our limits, and while ours may not be standing on the summit of Mount Everest until snow blindness and frost bite makes us retreat to basecamp, they are still there. Our limits are very real but so us our ambition, and it is fear can stop us from doing what we really want to do. The fear of a promotion. The fear of asking him out on a date. The fear of starting a blog. The fear of retaining and doing what you really want to do with your career. The fear of what others think. The fear of writing a book. The fear of moving to another country. The fear of doing a Facebook live or running a blog. Yes, all of these things have an element of fear but, none of them are life threating and they could take you somewhere amazing. Go for the promotion and you could get a better job and a pay rise. Ask him out on a date and you might find out if he really is the love of your life or that he just a pretty face and you need something more. Write the press release and this might not only get you into Stella but also lead to selling a whole load of your products. Get your words down on the page, because that book won’t write itself and only YOU can write YOUR book. Do the Facebook live, and yes you will see your lines and spots as you speak into the camera, but people will also get to know you and what you stand for. The gamble might not always have the results you wanted, but you will have taken control of the fear and learnt something. Maybe you need an expert to help you write your blog posts. It could be that filming your videos in the evening gives you a better light and therefore more confidence when speaking live. OK, the date didn’t work out but at least you know now that looks aren’t everything. What last night really taught me was that I have already achieved a lot, but I am not ready to sit back and be happy with the CV I have, there is so much more I want to do, even if it scares me. There are more clients I want to work with. There are more books I want to write. There are more light bulb moments I want to see as coaching clients ‘get’ what PR could do for them. I want to run more workshops and see more attendees leave my sessions feeling inspired and ready to work on their PR goals. I want to crack Forbes, Entrepreneur and Inc, and I will. Yes, we can feel the fear, but as Louise Hay said, do it anyway and I am pretty sure that for one reason or another, you will be pleased you did. Ant’s story was interesting, his determination admirable, but it was his words about failure not being a dirty word that will stay with me from last night. 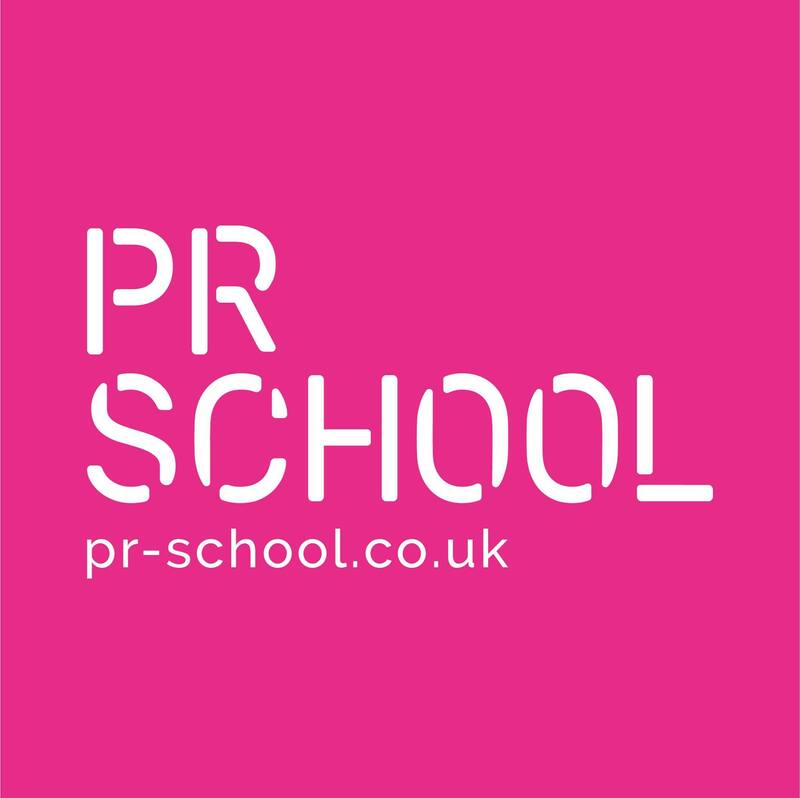 You can find out more about me at PR School and I hope that you will start to see that failure isn’t a dirty word, but rather a step in the right direction to success.